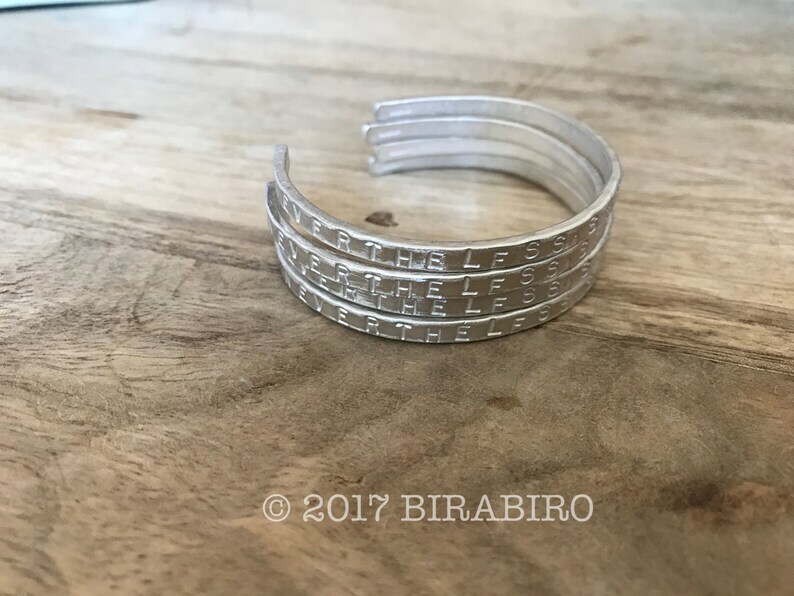 Sterling silver cuff with "NEVERTHELESS, SHE PERSISTED." stamped into the metal. Cuff measures approximately 5 1/2 inches and should fit most wrists. It has a brushed matte finish. Please note that the price is for ONE bracelet. Beautiful bracelet with a powerful message. Well made, shipped quickly and hassle free purchase.